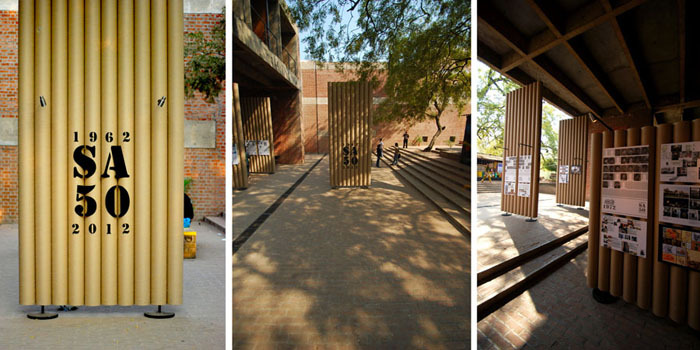 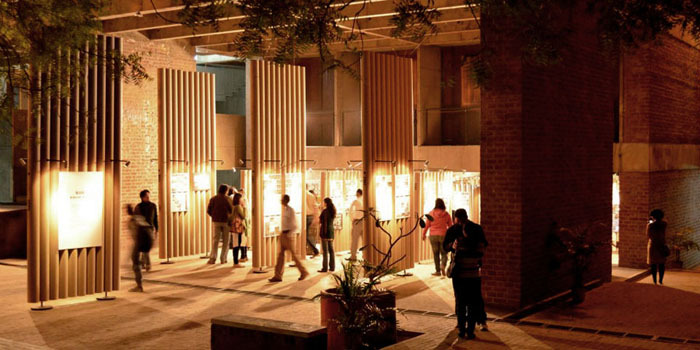 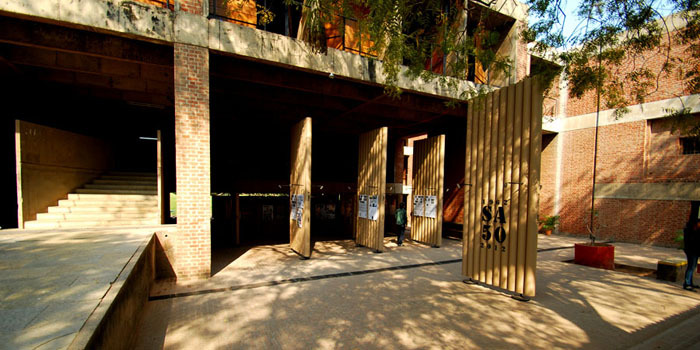 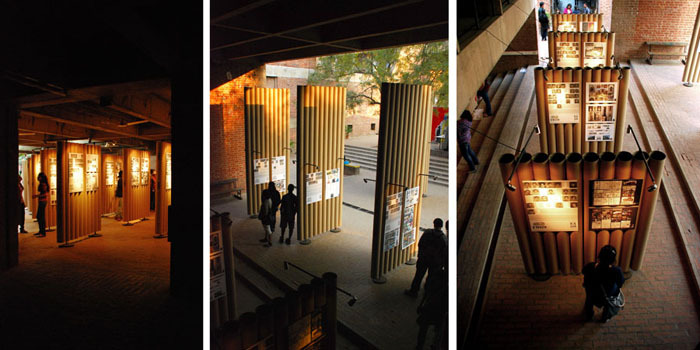 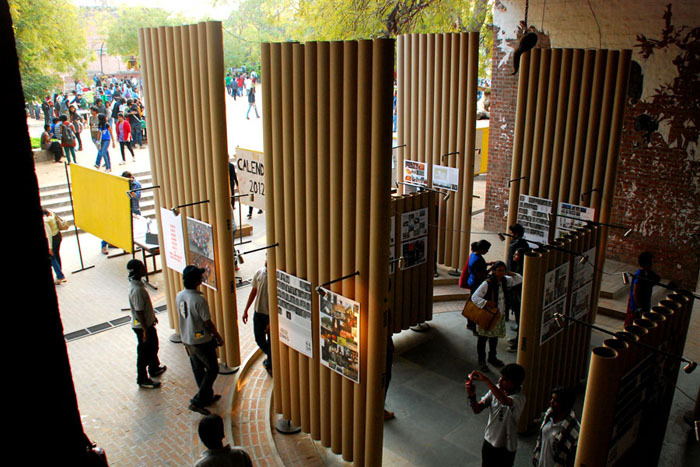 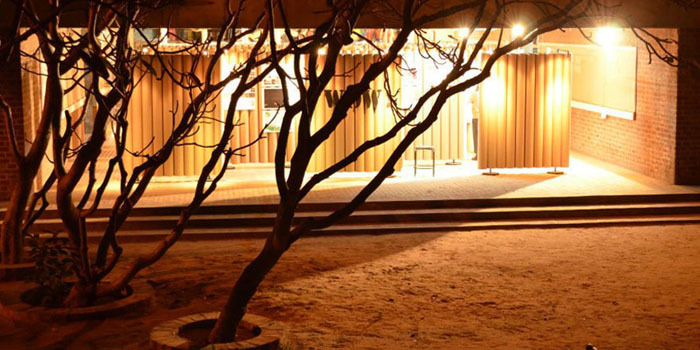 School of Architecture, CEPT, Ahmedabad completed 50 years in January 2012. 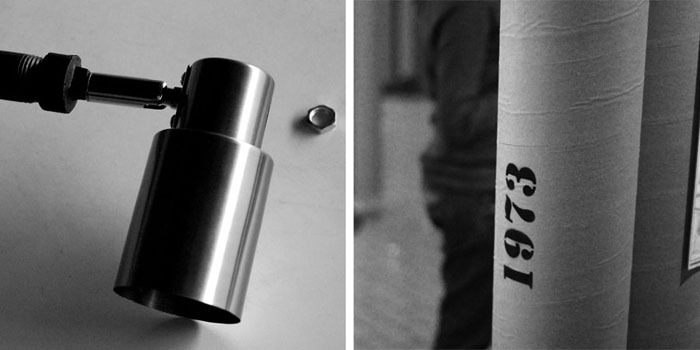 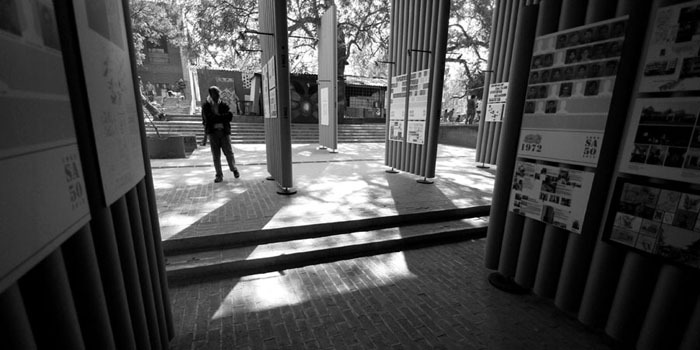 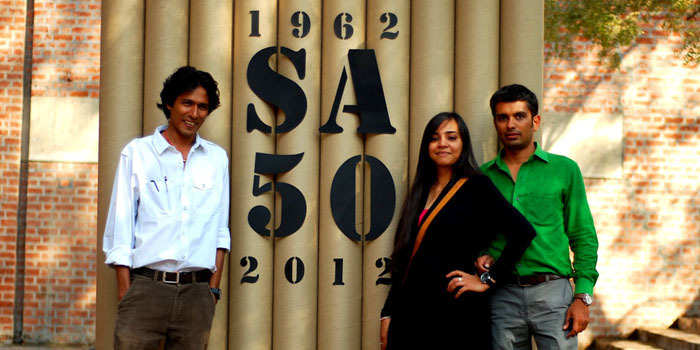 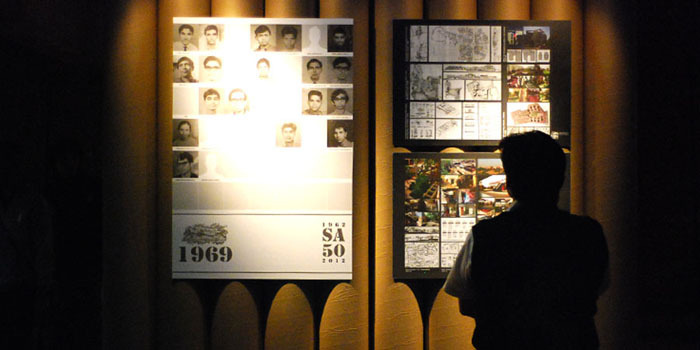 SA50 is a year long celebration of various events, beginning with SA50 Exhibition WOW (wall of works) at CEPT. 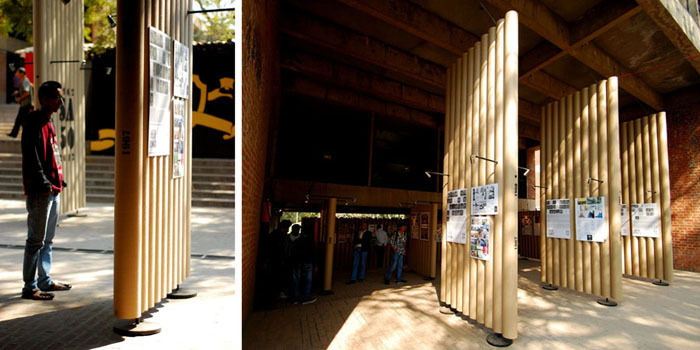 This exhibition presented brief academic history of SA, academic/professional works of alumni from last 50 years and old photographs. 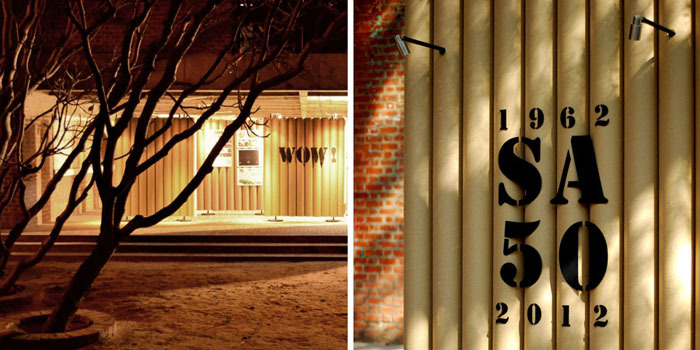 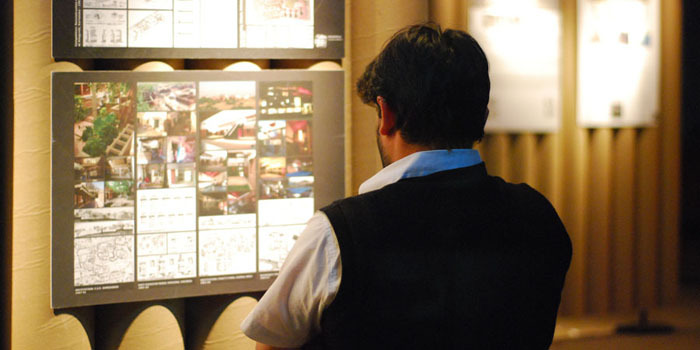 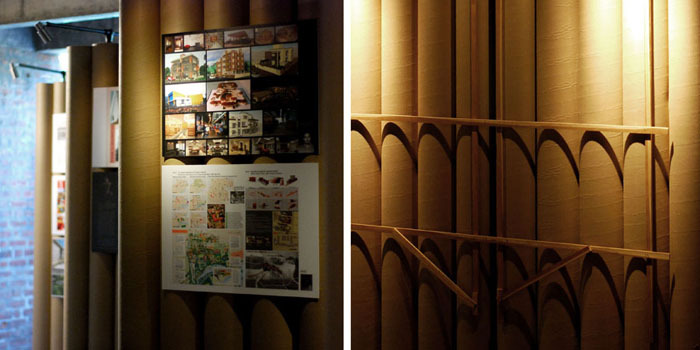 "WOW" - wall of works, as the name suggest, this exhibition was conceptualized as series of free standing walls. 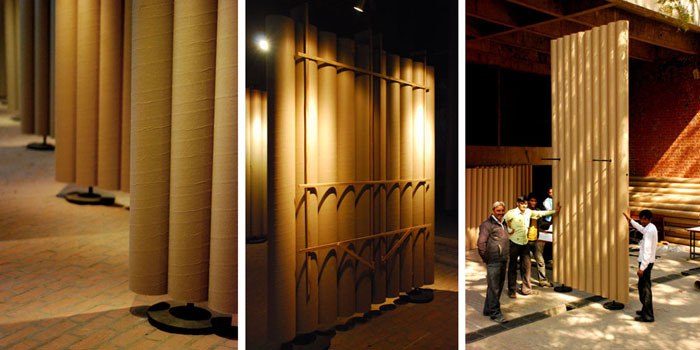 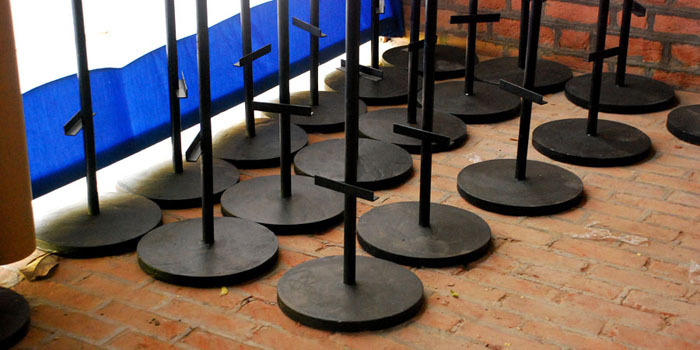 These walls are made with light weight paper tubes and steel frame structure with cast iron base for stability.